New long-range and low-power IoT (Internet of Things) technologies like Low-Power Wide Area Networks (LPWAN) are enabling new use cases in application areas such as smart cities, smart agriculture, smart manufacturing, and work safety. Alongside robustness and availability, Security is a key to successful adoption of these new applications. 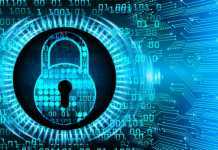 G+D Mobile Security, Murata, and STMicroelectronics have teamed up to integrate cost-effective security features into IoT devices. Available now for a wide range of applications and vertical markets, the joint solution aims to ensure integrity and confidentiality of the data exchanged and to allow the distribution of LPWAN keys in a fully secure manner. The number of devices connected to the Internet is steadily increasing, and they are often used in a broad range of critical systems. Non-cellular connectivity, such as through LoRaWAN, will play an important role in vital IoT applications. Non-secure devices in these important systems are an easy target for manipulation and attacks and therefore pose a serious risk to the application and indeed the whole infrastructure. The new solution by G+D Mobile Security, Murata, and STMicroelectronics makes it easy to integrate security already at the device production facility, adding value to the product and protection to the IoT ecosystem in an efficient and convenient way. 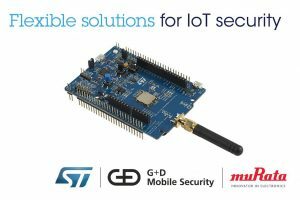 The solution consists of G+D’s Key Management System that relies on an STSAFE-A secure element attached to an STM32 general-purpose microcontroller, both from ST – built into a compact, cost-efficient LoRaWAN module designed by Murata. The joint offering forms the basis of a secure LoRaWAN ecosystem that provides end-to-end device security, an easy onboarding and lifecycle management of the LoRaWAN module, easy network deployments and tracking, as well as data privacy and integrity. The solution will be available for trials starting 7 June, 2017. “ST is cooperating with G+D Mobile Security and Murata to offer LoRaWAN best-in-class secure solutions. Based on highly secure hardware, our solution ensures integrity and confidentiality of any communication through secure handling and storage of the secrets,” added Laurent Degauque, Secure Microcontroller Marketing Director, Microcontroller and Digital ICs Group at STMicroelectronics.